To promote the new indie film BLACK PANTHER we go back to a 2013 film starring Chadwick Boseman, 42. 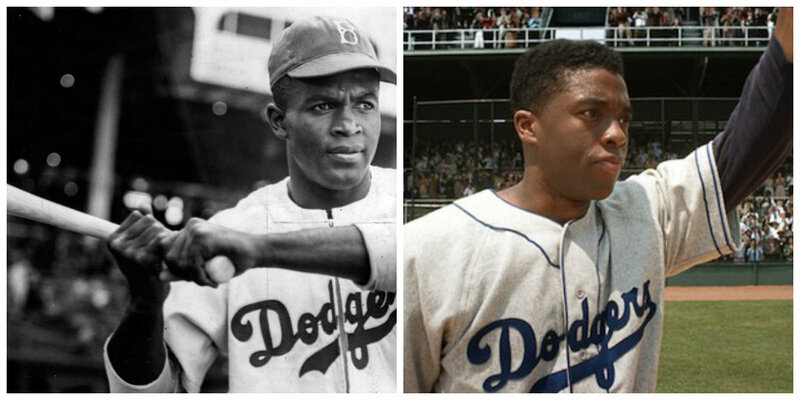 In this film, Mr. Boseman has the challenge of not only playing Jackie Robinson who broke the color barrier in basseball, but also to try and best Mr. Robinson who played himself in THE JACKIE ROBINSON STORY. This is a first in ORIGINAL REMAKE, although it will not be the first time we do a little sports talk radio. Fortunately or unfortunately, depending on if you are a baseball fan, one host has to break these movies down in basketball terms and the other still laments Kevin Durant not making his way to the Celtics. And with that we just lost all of our movie podcast listeners... did we mention that this in celebration of a little movie called BLACK PANTHER?